It amazes me how many weight loss gimmicks there are out there. The irony of course is that it takes much more time and energy to yo-yo back and forth on a diet than it does to make healthy choices in the first place. Gain 10lb. Lose 10lb. Gain 15lb. Lose 12lb. On and on it goes. The yo-yo cycle continues and each time it gets harder and harder to lose the weight. Frustration increases, energy decreases and before you know it you’re blaming your genetics. ….It doesn’t have to be that way…. What we eat on a regular basis is the #1 controllable factor contributing to our overall health. 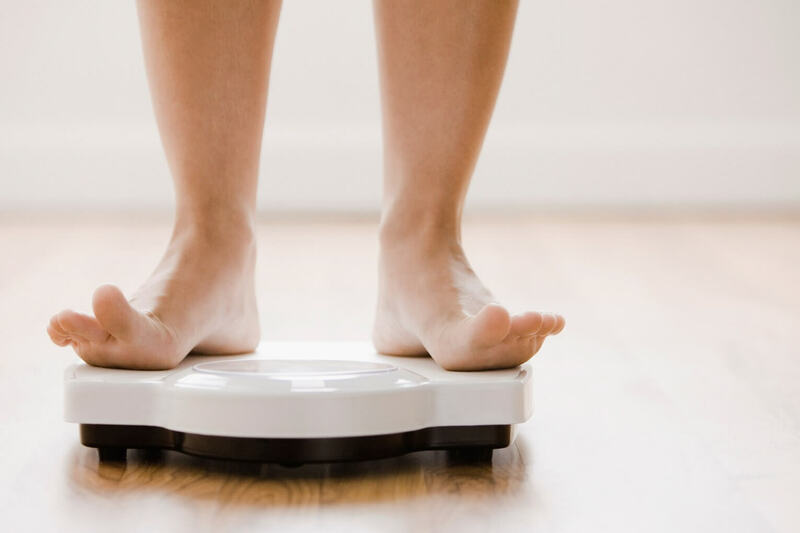 Waist circumference alone can be used as a predictor of heart disease risk, so monitoring the way your pants fit is a simple and easy way to stay on track. 1. Alcohol– Any way you cut it, alcohol is empty calories. Mixed cocktails are by far the worst offenders, but even beer and wine can pack on the pounds quickly. Keep it to 4 drinks or less per week if you’re serious about weight loss. 2. Added Sugar– Sugar is added in so many foods to help enhance flavor. Avoiding beverages with calories, sauces (like BBQ, salad dressings, etc. ), and packaged items like cookies will go a long way to helping you control your waistline. 3. Bread– Bread is being demonized more and more these days and for good reason. Bread is a highly processed product that packs a ton of carbohydrates in a small package. It’s not the bread is inherently evil, but it’s so hard to control the portion size. Not to mention that according to William Davis, author of Wheat Belly, wheat [found in most processed food] is an appetite stimulant and triggers us to over eat. 4. Fried Food– Fried food is high in the very inflammatory Omega 6 fatty acids. This increases inflammation everywhere in our bodies increasing fluid retention, increasing heart disease risk and packing on the pounds quickly. It’s helpful to take an Omega 3 Fatty Acid supplement on a regular basis, but avoiding fried foods in the first place is equally important. 5. Dessert– who doesn’t love dessert? The problem is that we are all hard wired to like high calorie foods. Desserts pack a 1, 2 punch of both sugar and fat which makes us very likely to overeat and crave more. The amount of sugar in most desserts will drastically spike our blood sugar levels and put our bodies into a “fat storage” mode. Find a suitable alternative to satisfy your sweet tooth instead. I really like the Cookies & Cream bar by Quest for this. I work a bar into my daily routine as a snack to satisfy my sweet tooth. Next time you are tempted by one of these foods- ask yourself if there is a better alternative. When we replace healthy food (lean means, vegetables, fruits) with the junk listed above you end up exchanging your long term health for short term pleasure. Is it worth it?